Abhishek and Aishwarya Bachchan returned from their trip to Canada and USA today. 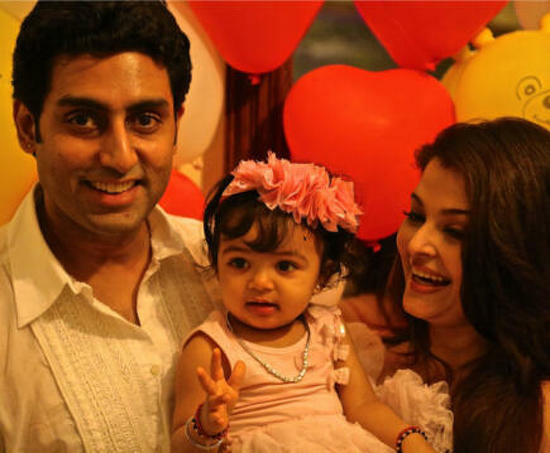 They were accompanied by their cute little daughter Aaradhya who like always was carried by her mom. Aishwarya’s father was at the airport to pick them up. The little cutie seems like a complete mumma’s girl as she does not let go of her mom even for a second. 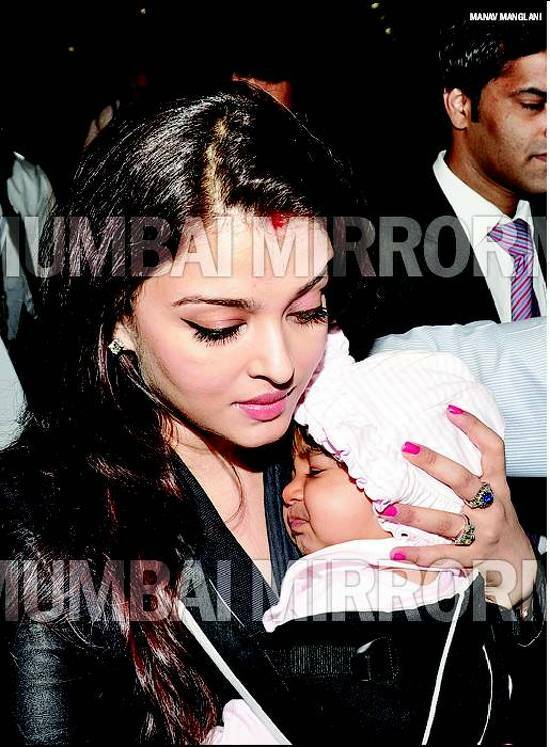 In all the pictures we find Aaradhya clinging to Aishwarya. The actress has often mentioned as how her daughter is the center of her world.